Paulino Viota is a self-taught filmmaker who has made all his films virtually against the Spanish film industry. In his day, Viota was ignored but, with the passing of time, his work became one of the most interesting film projects of the last years of Franco era and the transition to democracy. 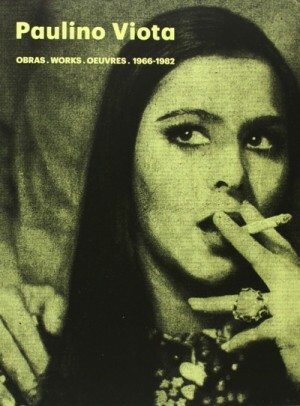 A four-disc DVD box set contains the complete works of Paulino Viota, whose singular Contactos (1970) was considered one of the most important films of the 1970s by the critic and filmmaker Noel Burch. The other feature-length films are Con unas y dientes (1978) and Cuerpo a cuerpo (1982). Viota refers to Con unas y dientes as the first Spanish film since the Civil War to deal with the class struggle. It is formally more conventional and didactic than Contactos, but its narrative focus shares the perspective of labor militants in opposition to combined state and corporate power. Cuerpo a cuerpo, Viota’s last feature to date, ties together several stories about the loss of youth, and employs footage filmed in two stages, fourteen years apart. Its characters had come of age in the last years of the dictatorship only to find themselves alienated, their hopes and youth gone, after the long-awaited return to democracy.